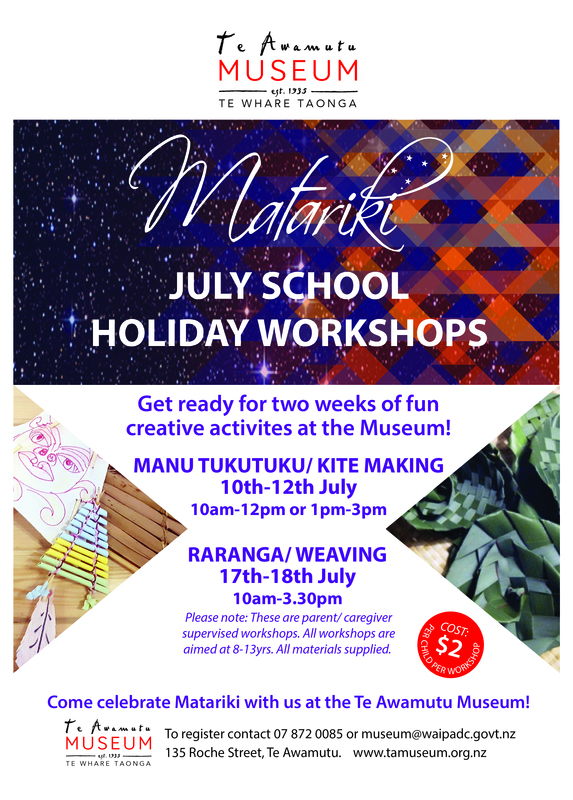 Celebrate Matariki during the July School Holidays! 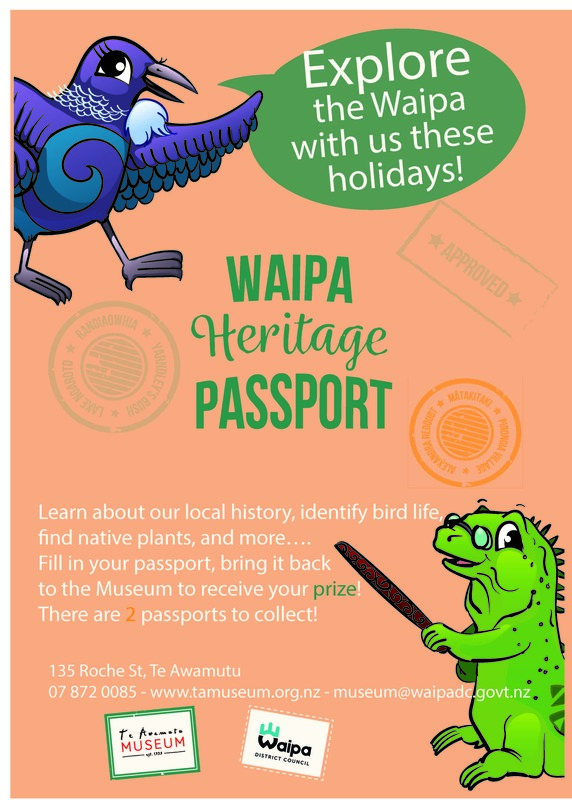 Celebrate Matariki with Te Awamutu Museum these school holidays! During Week 1 we have Manu Tukutuku Workshops, Level 1, 2 & 3 while during Week 2 we have two full day Raranga workshops. 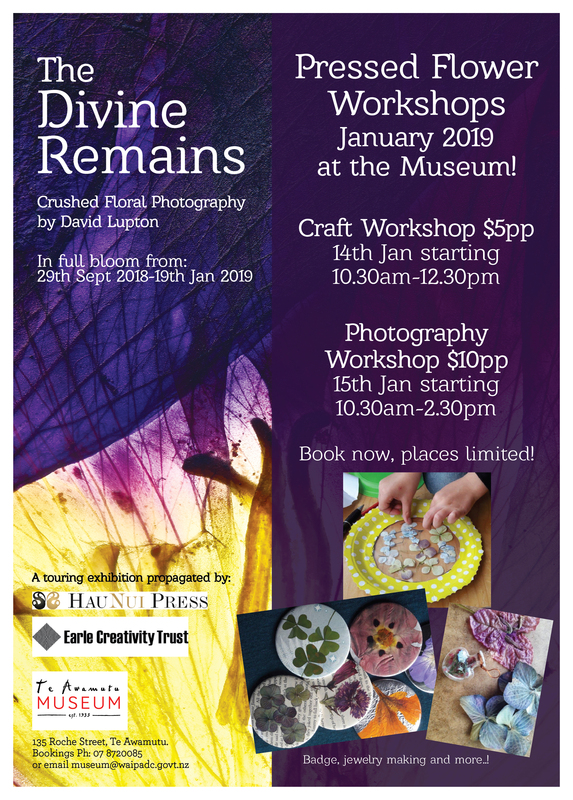 Workshops are suitable for ages 8-13, adult supervision required, only $2 per child, per workshop! Check out the events page here! 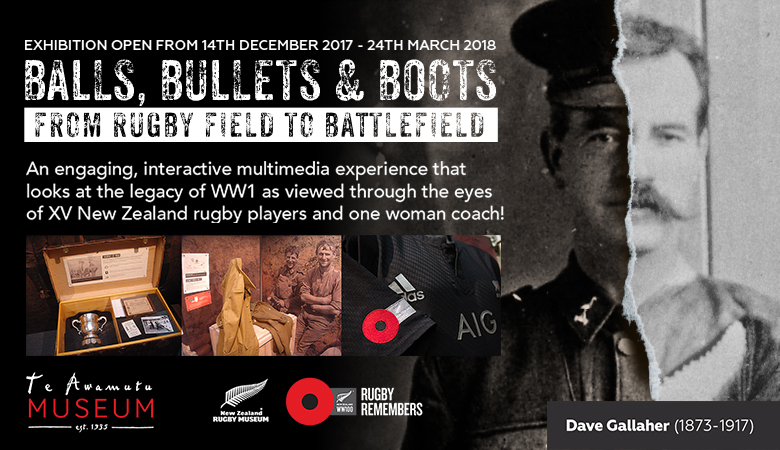 If you haven’t already been to see Balls, Bullets & Boots, you’ve only got until March 24th! This fascinating touring exhibition will shortly be on its away out of the Waikato, make sure you don’t miss it! 3rd Annual Easter Egg Hunt! 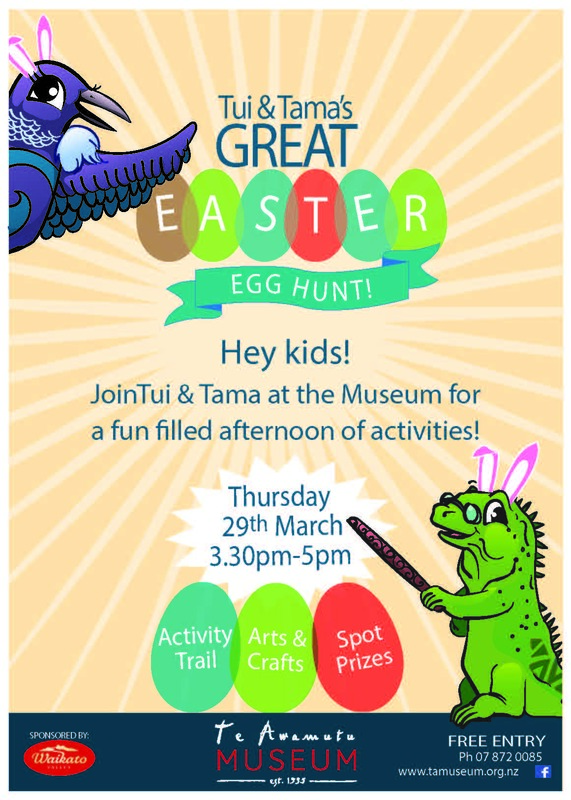 Join Tui & Tama for their third annual Easter Egg Hunt! 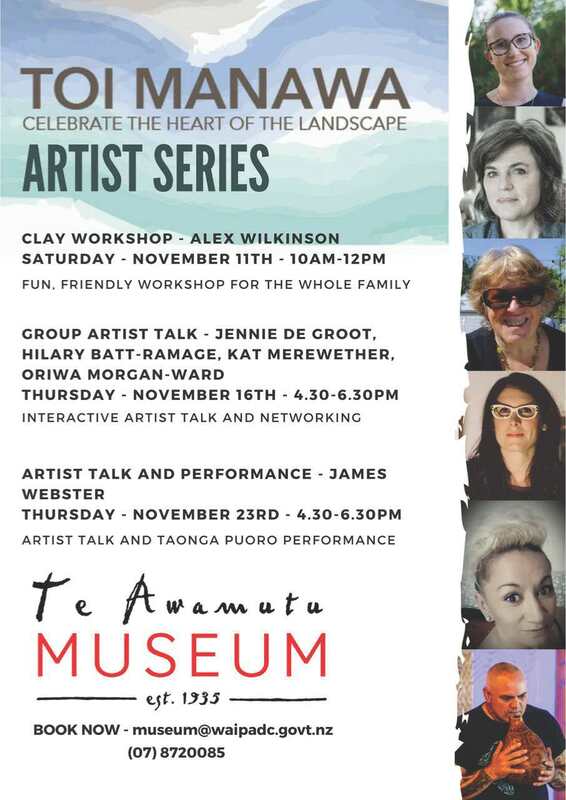 Join the talented artists of the Toi Manawa exhibition to learn more about their creative processes! The group artist talk on 16 Nov is free entry, the artist talk and performance on 23 Nov is gold coin donation. Registration is essential, contact us now to reserve your place.